This is an arrangement for brass quintet and organ with optional timpani. 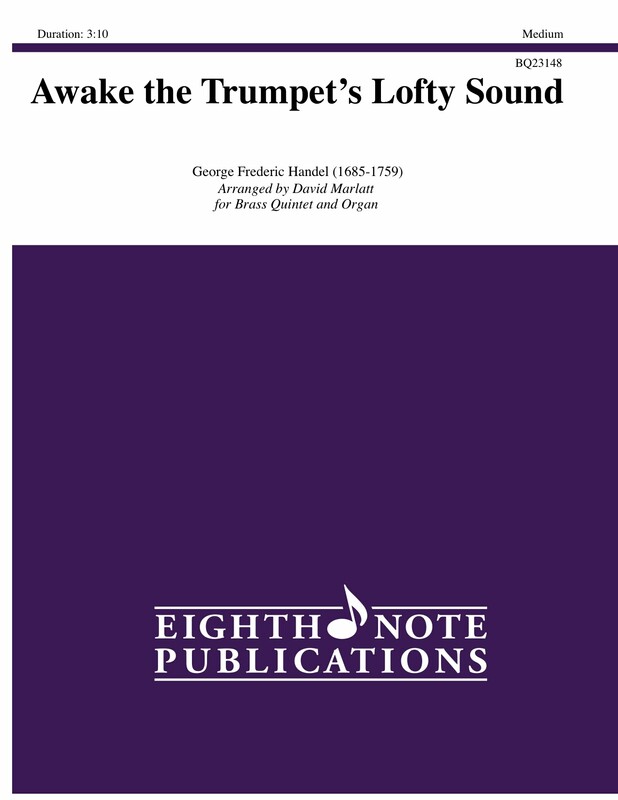 Handels oratorio Samson contains several great movements that trumpet players play as solo or ensemble pieces at recitals apart from the complete oratorio. Besides Awake the Trumpets Lofty Sound, there is Let Their Celestial Concerts and one of the most popular trumpet and voice duets Let the Bright Seraphim.